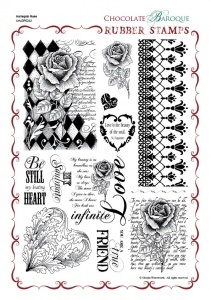 This rubber stamp set contains several images of roses, borders, words and phrases. These designs are suitable for any occasion; from a birthday to a wedding - you will not be disappointed with this set of stamps. 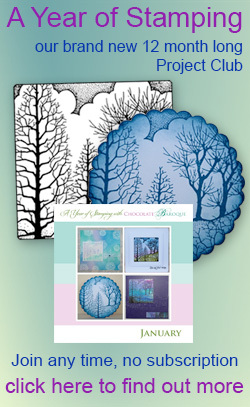 This is a lovely stamp set, so versatile I have used it for cards and mixed media projects. Great quality stamps and 1st class service. Thank you. I love this stamp as there are so many ways it can be used and the elements tie in with many other Stan's. Good for mixed media too. Well worth the extra to have it ready prepared. Beautiful stamps, easy to use, make fabulous cards. So many stamps which do I use first and which will become my favourite? these stamps are so detailed and beautiful, they stamp a perfect image every time as do all chocolate baroque stamps and there are so many on the a4 sheet well worth buying love them. Love this Harlequin Rose stamp set. Love the fabulous artwork on this set. 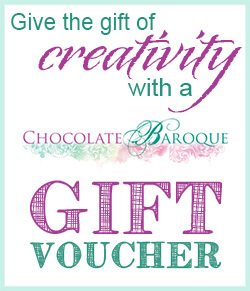 When you buy Chocolate Baroque stamps, you know you are going to get top quality, and excellent results when you use them. (Quick delivery too)! Have loved this set since forever. Encore de merveilleux tampons que je n'ai pas encore essayés mais que je trouve de toute beauté. A recommander. Love this sheet - it is so versatile. All the elements are perfect. I was deeply delighted with this stamp sheet! The quality is five stars and the details is beyond words. The shipment was fast and smooth.